Get the Chance recently interviewed Abdul Shayek, Director of Death and the Maiden, who told us that he was very proud of the inclusive and political play which he aimed to raise awareness against political oppression and abuse. Death and the Maiden is a play about the struggles of moving on after living in a dictatorship. It’s about the consequences of patriarchal rule and the abuse of power. It’s about women’s struggle. Having never been to The Other Room Theatre before, I was pleasantly surprised. The quaintly small room and the centred stage layout created a very intimate feel. With just three rows of chairs on either side of the stage, and the backstage being entirely around the audience, it felt like we were quite literally in the middle of everything: like stage props, spoken to and manipulated for a brilliantly eerie effect. Actors walked on and off stage from all different locations around the room, which really gave the imposing feel of the audience being closed in on. Paired with the close-knit nature of the actor-audience space, it was impossible not to feel on edge. That feeling is exactly the right one to have to suit the mood of the production. 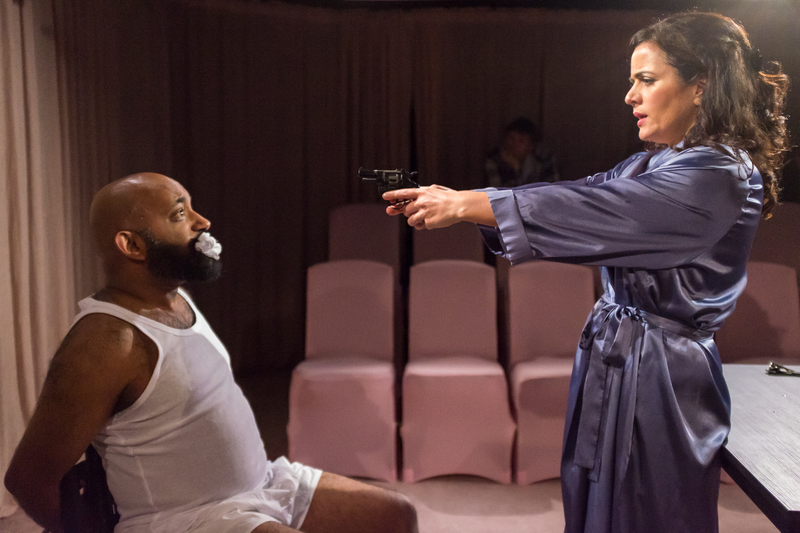 To watch a kidnap scene, with a gun and shouting and to listen to tales of sexual and torturous abuse, it would be wrong to make the audience feel comfortable and at ease. We were meant to feel discomfort and awkwardness, and we did. It was powerful. The acting was sublime. Lisa, Vinta and Pradeep did an incredible job of displaying emotional and genuine feelings that were so impressive on the audience. We all felt the tone of the room change as we shifted through monologue to dialogue, and back to angrier monologue. 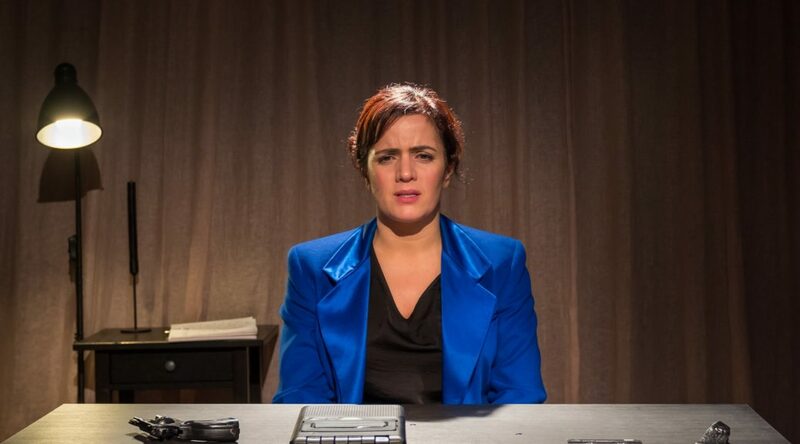 Lisa’s portrayal as a tortured woman trying to move on with her life is touching for all audiences alike, and her counterpart, Vinta’s, role as the husband struggling between revenge and democracy is played out so frustratingly well that I wanted to just go up and shake him and tell him what to do! Equally, Pradeep played a sick and twisted doctor, yet he did so in a way that still made the audience love him, and so this can be down solely to his beautiful acting. It was a pleasure to watch the three of them bounce off one another in the most sophisticated way. I felt such a great sense of duty to go and watch this production. It felt like a necessity to go, and an ignorance if I didn’t. In a world surrounded by patriarchal dominance, sexual abuse, and inequality across the spectrum, this play could not be any more current. One only has to hear the name Harvey Weinstein to remember how current this play really is. 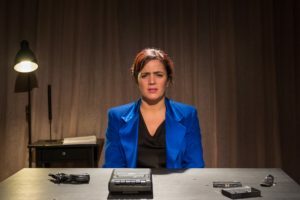 Fio, the production company of this play also put on an all-woman project following this production to create a safe space for women to talk with each other about their experiences as women in the 21st century. It’s so important! 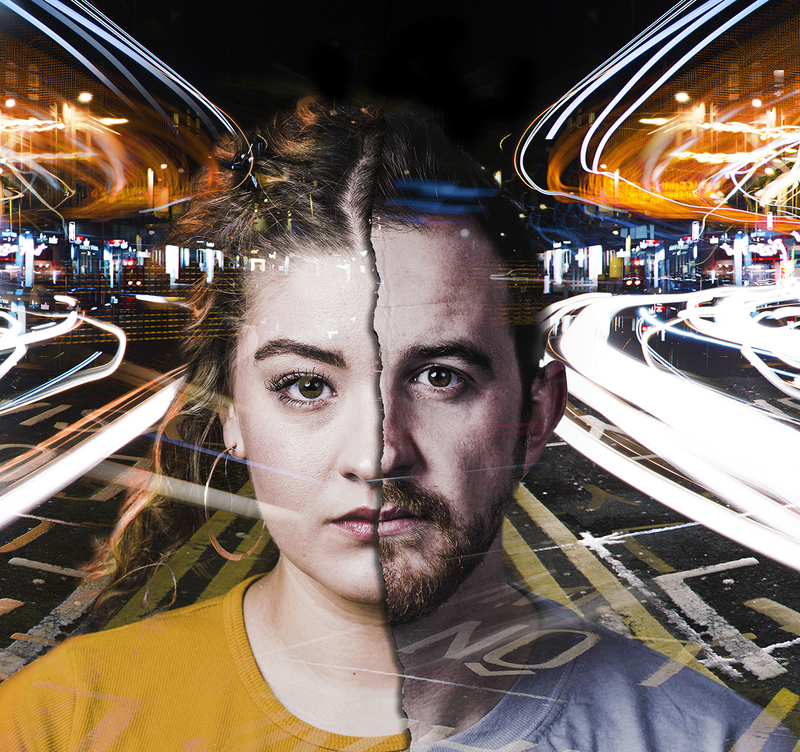 As a 20-year-old woman living in Cardiff, I absolutely loved this play and was overjoyed when I heard the great work Fio was putting into safeguarding those affected by the personal and somewhat invasive (in a good way) themes of the storyline. 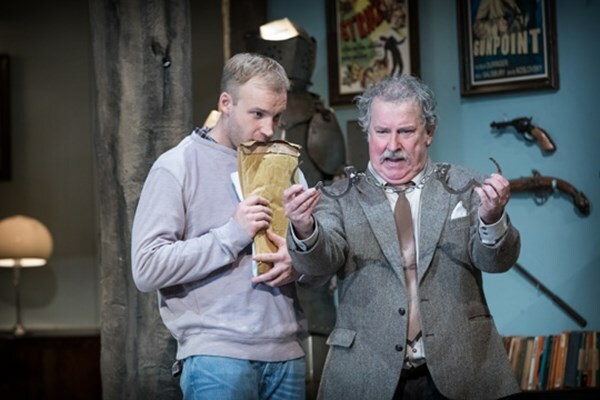 Review Deathtrap, New Theatre, Cardiff by Jane Bissett. 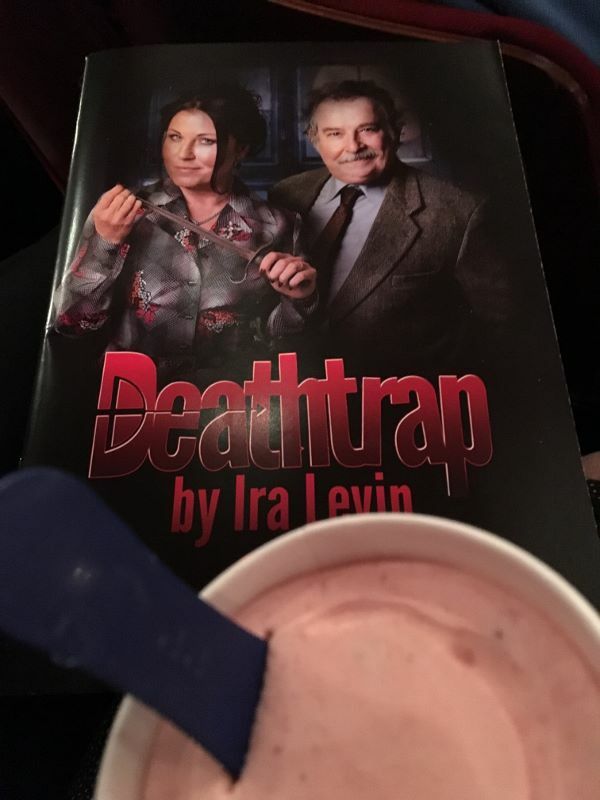 Deathtrap is the age old story of a man who wants more than he has and is prepared to go to any lengths to gain it. The action takes place at the home of playwright Sidney Bruhl’s home that he shares with his wife of 11 years, Myra. We see Sidney, a man who has not written a successful play for a number of years receives a manuscript from a aspiring young playwright. This is the opening of a plot that will change the course of the lives of Sidney and Myra in ways that we, the audience, will not have imagined. The story covers four weeks in the life of Sidney Bruhl where he, Sidney, plans and plots to create a better life for himself at any cost. 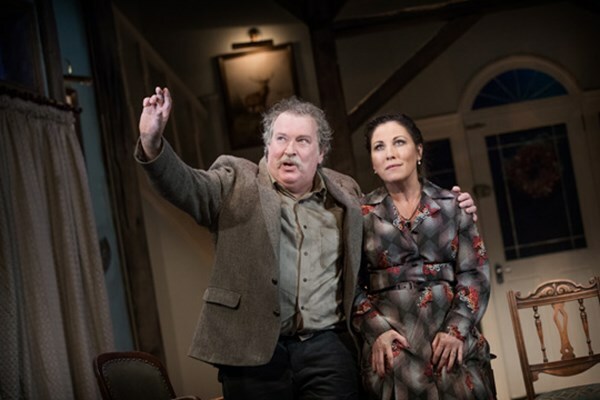 The three main characters played by Paul Bradley (Sidney Bruhl), Jessie Wallace (Myra Bruhl) and Sam Phillips (Clifford Anderson), despite all being well known to us in former stage and television roles, were believable and I particularly liked Wallace’s portrayal of Myra Bruhl. Despite not being familiar with the story and not having seen any other adaptation I didn’t find it as thrilling as I had anticipated. There were a lot of question marks about the relationships between the characters which were never addresses in either dialogue or behaviour except for the ending of act one. This isolated engagment between characters didn’t actually appear to have any relevance to the storyline and left the audience somewhat confused. Perhaps it was meant to shock? Either way it really didn’t work. That said, the outstanding performance for me was Beverley Klein. She gave a wonderful performance as Helga ten Dorp, the Bruhl’s psychic neighbour. Her portrayal of ten Dorp single-handedly brought the thrills, drama and humour to the stage and was a delight to watch. 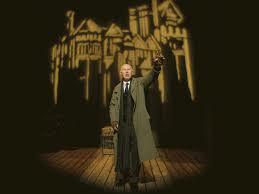 The set design worked well and the lighting created an atmosphere for day and night that worked particually well. The sound was spot on and certainly on cue for the moments we all jumped out of our seats! It would be unfair to elabarate further as it would certainly create a spoiler for anyone going to see the play. Scene changes were prompted by the showing of vintage thrillers on screen in black and white which worked to great effect and enhanced the experience. The video design which was by Duncan McLean gave a sort of scrap book feel to the presentation and perhaps gave an insight to the mind of a thriller writer, their inspiration and method of work? Wednesday, Thursday and Saturday Matinees at 2.30pm. For further details or to book tickets call the Box Office on 02920878889. The tale of the Woman in Black comes from the pen of the acclaimed author Susan Hill and I guarantee this stage adaptation, the legacy of the talented playwright Stephen Mallatratt, will not disappoint you. It is 27 years since this production was first taken from the page and brought to the stage and its longevity is testament to the art of storytelling and the drama of theatre. 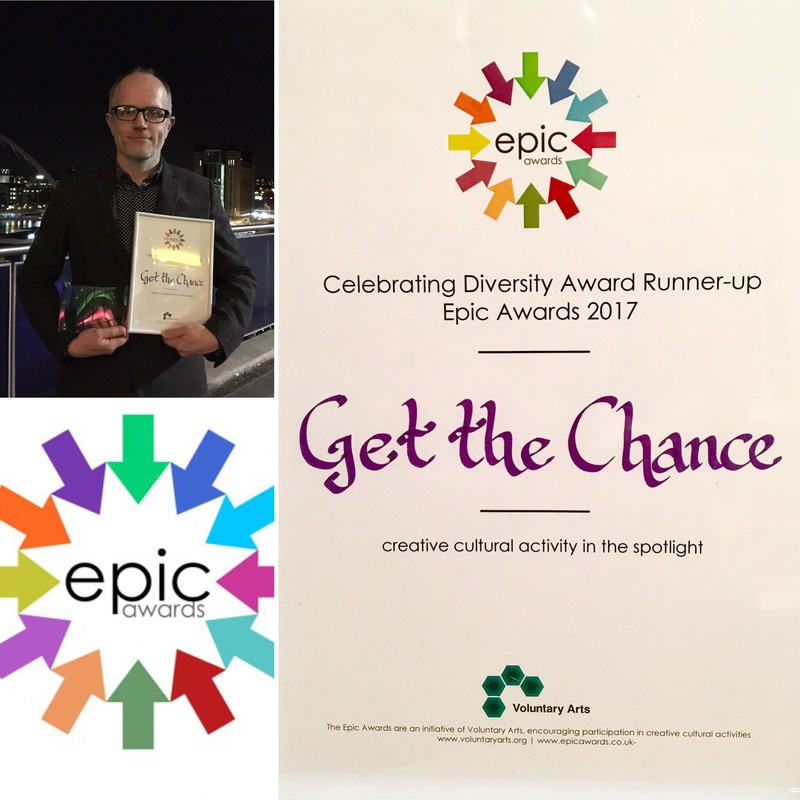 The ability to tell a gripping story is a thread which runs through time itself and is as deep seated in us today as it was when stories were passed down by the telling of tales and before the Viking Sagas were written down. Every culture has its own myths and legends to draw on and before the advent of electricity and modern technological it was common for families to gather together in the evening, in the dark glow of the fireside to recount tales that would capture the imagination and transport them to times and places of both the past and the future. Susan Hill’s novella, The Woman in Black, is a Gothic tale of love, loss, fear and revenge. As with all ghost and horror stories it has an unexpected ending, a twist in the tale, which sets us thinking and is the hook that makes us remember the story and gives us the ability to tell it to others again and again. 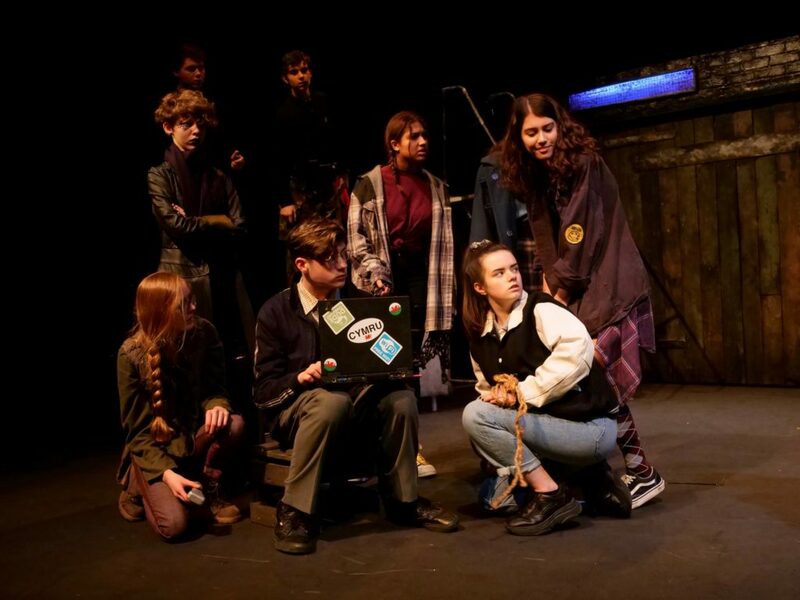 At the start of the play, in scene one, we are introduced to the two characters, Arthur Kipps and an Actor who he has engaged to assist him in the telling of the story that changed his life and his future. It is clear right from the start the importance for Kipps in telling his story, as not only a warning to others but as a means of trying to exorcise his own demons. In the telling of this tale it holds up a mirror to us all to examine our own fears of what we know and believe and indeed what we do not. 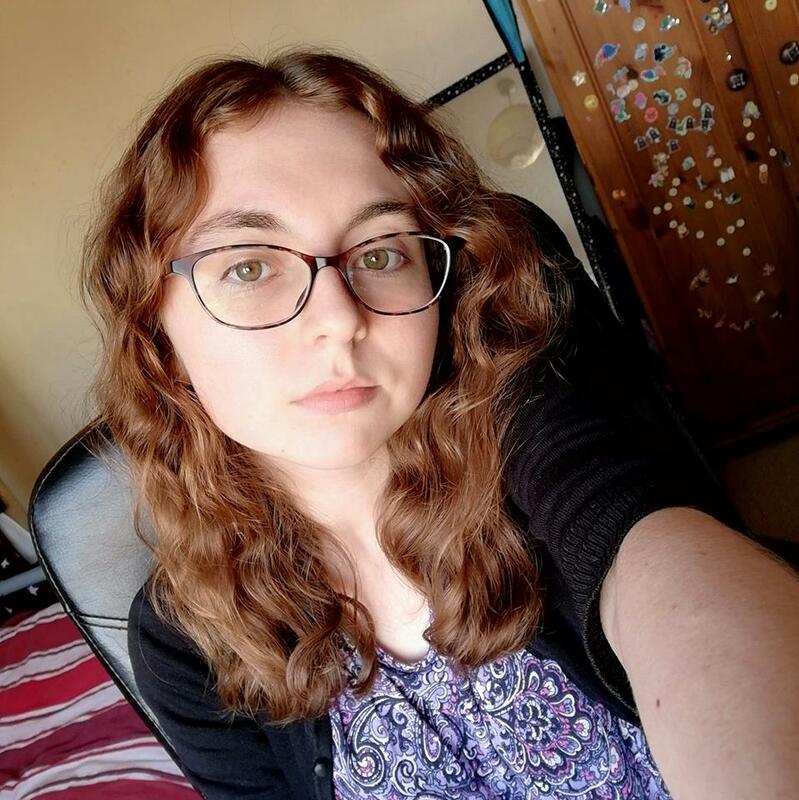 This is the story of solicitor, Arthur Kipps, recently widowed and who four years earlier had been sent from London to the coast to put in order the affairs of a recently deceased lady. The subsequent events of that journey will haunt Kipps and change his life forever. As a way to exorcise the spectre of the Woman in Black and indeed as a causionary tale, Kipps employs an actor with whom he shares his manuscript of the events that happened. 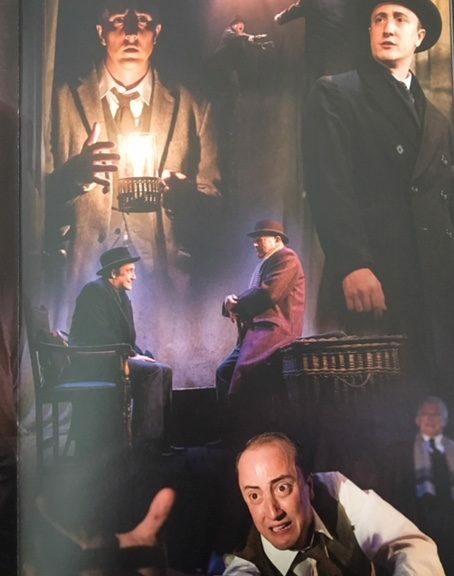 In the play that unfolds before us we see the actor coach Kipps to perform all other parts other than his own and the story begins…..
As a lover of Gothic Horror and Ghost Stories in general I really enjoyed this production. Both David Acton (Arthur Kipps) and Matthew Spencer (The Actor) gave wonderful performances which transported the audience out of the theatre and onto the marshes. We joined Kipps and the Actor, spell bound as they told of the events surrounding the Woman in Black, eventually revealing her tale from within Kipps chilling story. 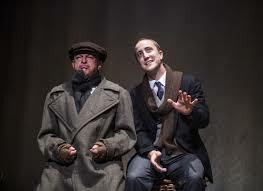 Both Acton and Spencer gave gripping performances as Kipps and the Actor in this two handed play in which you just got so much more that two chaps on a stage. The range of sound effects (Gareth Owen) and the dramatic and atmospheric lighting (Kevin Sleep) created a spellbinding backdrop on which the tale was told. There is no elaborate staging to distract you which means you are only limited by your belief in the tale and your own imagination. There was audience participation in the form of fear and gasps and I am not 100% sure I did not hear, at one point a lady scream or was that coming from the stage? 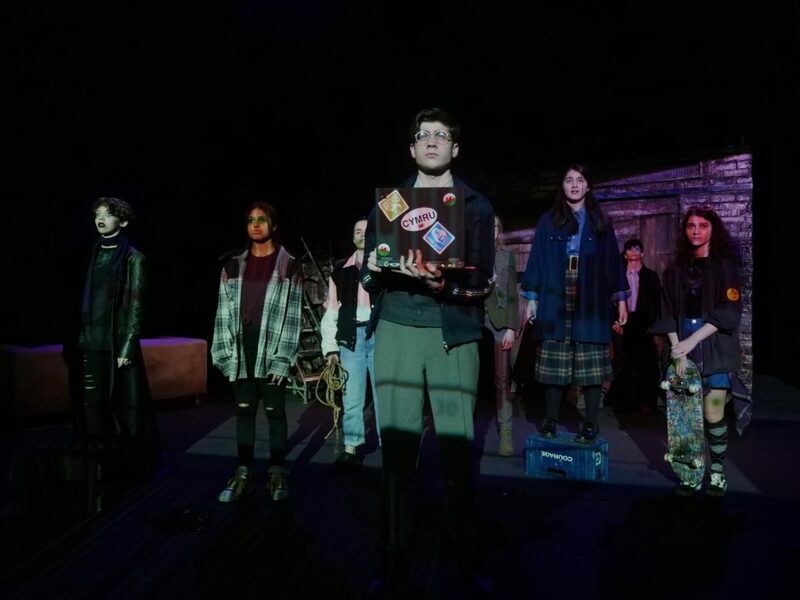 On Tuesday 4th April Cardiff’s New Theatre become a hub for wannabe sleuths as it welcomed the classic Murder Mystery play A Judgement In Stone by the prolific writer Ruth Rendell. 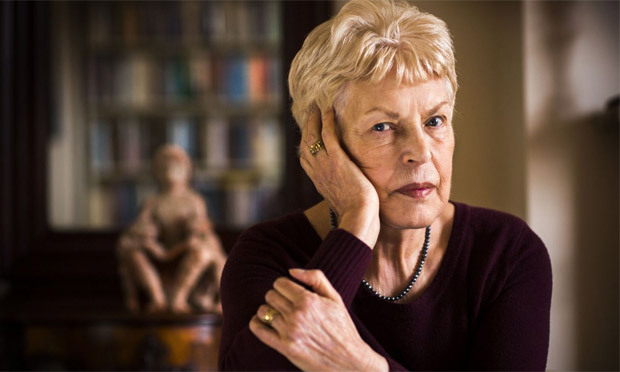 Ruth Rendell is very highly regarded among Murder Mystery fans all over the world and much like Agatha Christie she has continued to grow in popularity even after her passing. Ruth Rendell is very well known for writing very differently to other crime writers due to her focus being more on the psychological reasoning and effect with a murder opposed to looking in depth at the characters and their motives. 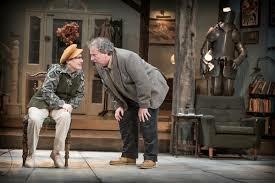 This was shown largely in the play as the motive and act of the murder chilled me to the core! Without giving away too much about the story the play opens with a crime scene set in the divine country mansion of the Coverdale family comprising of the murders of a father, mother, son and daughter. As the story unfolds before the audience on stage as does one of Rendell’s signature writing techniques with the inclusion of the ‘Class divide’. At the time of setting and writing the play the ‘class divide’ between the working class and upper class was at it’s biggest. 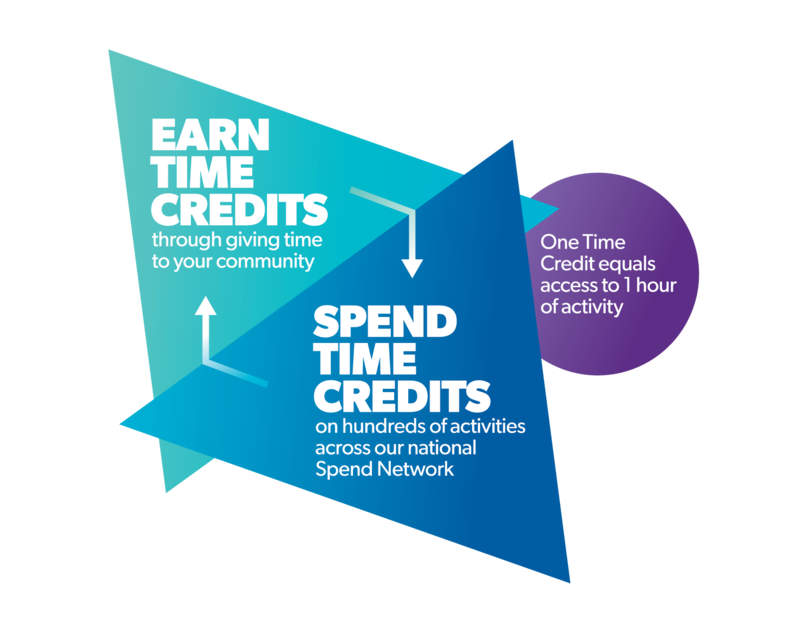 With other shows made at the time such as Blood Brothers by Willy Russell also showing this divide. As the show progresses although the plot is a Murder Mystery one cannot help but pick up on the class references in the show. Ruth Rendell creates exquisite characters who all have a different story to tell (and a different motive to kill). 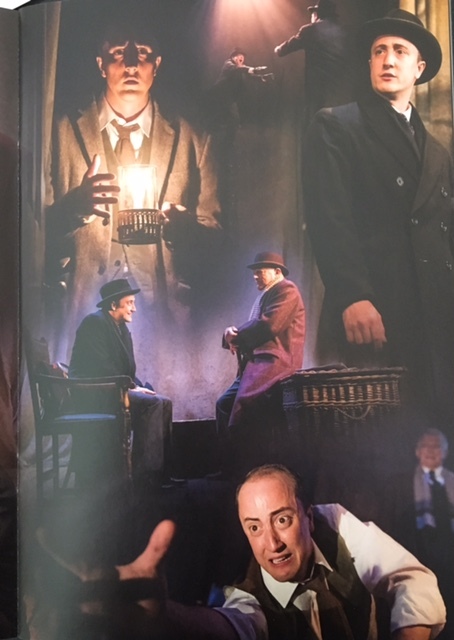 The first characters the audience encounter are the two central characters of the play Detective Superintendent Vetch (played by Andrew Lancel) and Sergeant Challoner (played by Ben Nealon). Both men are your typical ‘Coppers’. 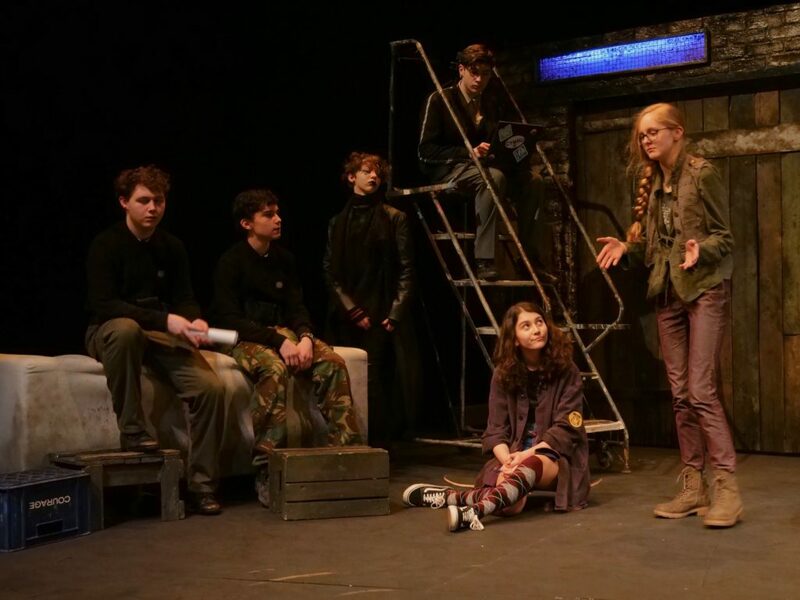 It is at this time the audience meet Eunice Parchman played by Sophie Ward who is the house keeper. Following on from this the play very cleverly follows a Non-linear narrative and jumps from the present to the past. The audience meet the family and their individual personalities start to show. 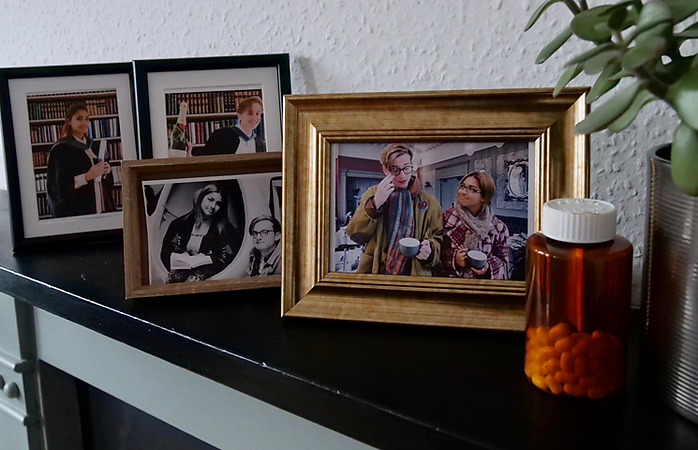 The family as shown in the picture below on the settee are Melinda Coverdale, George Coverdale, Jacqueline Coverdale and Giles Mont. We also meet three other characters also shown in the picture Eva Baalham, Joan Smith and Roger Meadows who is played by BLUE star Antony Costa. I simply must also mention the wonderful set designed for the show as it was amazing. It was very reminiscent to that of The Mouse Trap and had a wonderful sense of grandeur to it, really helping to set the scene for the audience. I highly recommend you watch this play especially if you are a Murder Mystery fan but WILL YOU SOLVE THE CASE? When looking at Murder Mystery stories it is extremely rare to find someone as talented and well-loved as Agatha Christie. On the 25th November 1952 Agatha Christie’s ‘The Mousetrap’, opened in the West End and has been running ever since, meaning the play is celebrating its 60th Anniversary. To celebrate this momentous occasion the production company have taken the show on tour around the UK allowing a whole new audience to watch and enjoy. Being an avid fan of Dame Agatha Christie I was very keen to watch this play as I wanted to see how similar the play would be to some of her most well-known work such as Miss Marple and Hercule Poirot. 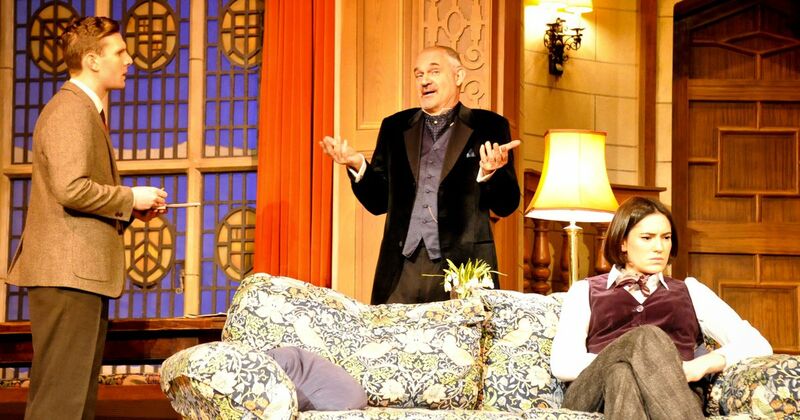 I must say that the play certainly does not disappoint and holds all of the key Agatha Christie characteristics to make it recognisable and familiar. Everything about ‘The Mousetrap’ seems very familiar as though we’ve read the story before. The play is set in a country house with oak-panelled walls with hidden back stairs and linking passages. It is the sort of house someone can leave the room by one door and reappear through another so you can never be too sure of where every character is. A snow blizzard takes hold and all of the roads soon become blocked to add to their problems the telephone is not working and on the radio there is a story about a murderer on the loose. The house is full of the usual range of Cluedo style characters that have never met each other before. Is there a chance that one of these people could be the murder? All of the characters have their own secrets and as you would expect from an Agatha Christie mystery, the story is full of twists and red herrings. Three of the play’s characters Sgt Trotter, Mr Paravicini and Miss Casewell. The characters are extremely well-defined and all very different and eccentric in their own ways. The cast of the play work really well together. 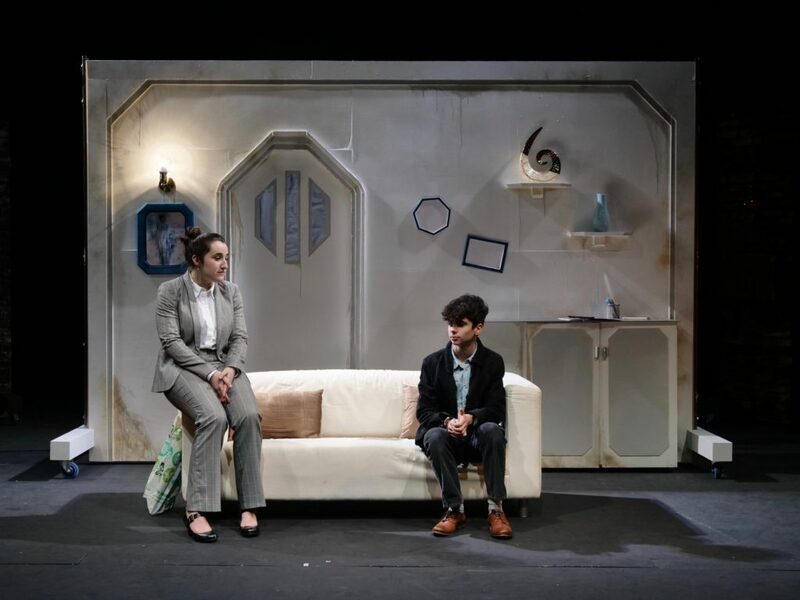 Anna Andresen and Nick Barclay create a fitting partnership for Mollie and Giles Ralston showing well their nerves about their first attempt at running a Guest House. Sarah Whitlock portrays brilliantly the straight-talking, no-nonsense Mrs Boyle. Whom I thought had similar characteristics to that of Miss Marple as portrayed by Dame Margaret Rutherford. 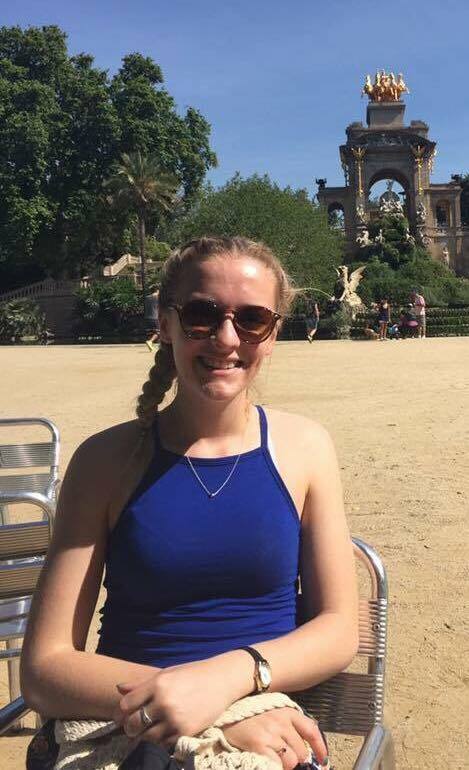 Amy Downham gives us a very secretive and mysterious Miss Casewell leaving the audience with many questions as to whom she could be. Gregory Cox is wonderful as Mr Paravicini and somehow seems to have created the character similar to that of Hercule Poirot. Oliver Gully is fantastically mad as Christopher Wren positively bursting with energy. Tony Boncza is ever so the retired Army type as Major Metcalf and Alan Magor played the part of Police Sergeant Trotter, a very good portrayal of a typical Agatha Christie detective putting all of the clues together and drawing all the attention of the audience. Hercule Poirot and Miss Marple two characters created by Agatha Christie. I simply must mention the divine set that was created for the play which was made in such a way that it felt homely and inviting for the audience. The use of lamps on stage bought a sense of comfort for the audience and also an element of reality. The large wooden panels with the period furniture gave the audience a wonderful setting for the story to play out. The UK tour trailer for ‘The Mousetrap’. 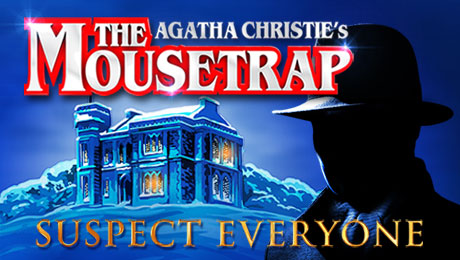 I highly urge everyone to see ‘The Mousetrap’ whether you are an Agatha Christie fan or not. It is a wonderful ‘who done it’ mystery that is guaranteed to get you trying to solve the case. With endless twists and turns the audience are kept on the edge of their seats. But you must remember that EVERYONE is a suspect! The Other Room Theatre kicking of 2016 with their new season of Insomnia, brings us a double bill of both Beckett and Pinter’s work. These 20th century play writes were considered to be two of the most influential writers of their time. 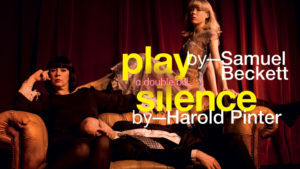 The plays chosen were ‘Play’ by Beckett and ‘Silence’ by Pinter. Both plays draws themes around betrayal and lust. Both Kate Wasserburg, (director of ‘Play’ and Artistic Director of the Other Room) and Titas Halder, (director of ‘Silence’) made sure these plays were not only performed with great distinction but showed great technicality as well. Stepping into the first performance of the Other Room theatre there was soundscape in the background (composed and sound designed by Dyfan Jones) creating the mood that was hardly noticed at first but grew louder and louder until everyone was completely engaged and then it just cut out. A deathly silence where the audience was left in the pitch black, all senses removed, waiting in suspense. This was the first moment that completely drew me in to the performance, this moment never left me until I was ushered out of my seat. I was in complete awe at what I had just seen. Floating heads on stage, muttering things one couldn’t comprehend, the imagery in this was beautiful. Then controlled by a single spotlight it shone to the character speaking at the time with everything else surrounded in blackness. This technically was beautiful as we were transfixed on what was being shown. It felt like you were at a tennis match where you kept moving your head to the next performance not wanting to blink in case you missed the next moment. The performers were incredible, their focused stare and fast paced speaking with hardly pausing was a treat to see. It was evident that they had complete dedication to this performance as their pronunciation was spot on even though the pace was remarkably difficult. The trio of performers even though speaking in quite a monotonous way showed great characterisation and we could fully get a sense of each personality. After only knowing Matthew Bulgo through his great work as a playwright creating ‘Last Christmas’ his acting ability corresponded to the success of his play. Acting alongside him was Victoria John who showed comedy within this play and who’s laugh has to be up there with the greatest of evil laughs. Then Peta Cornish who captivated us with the use of her eyes and her elegant speaking voice. This was a performance that frazzled my mind yet I would want to see it again and again just to get another glimpse into those lives. 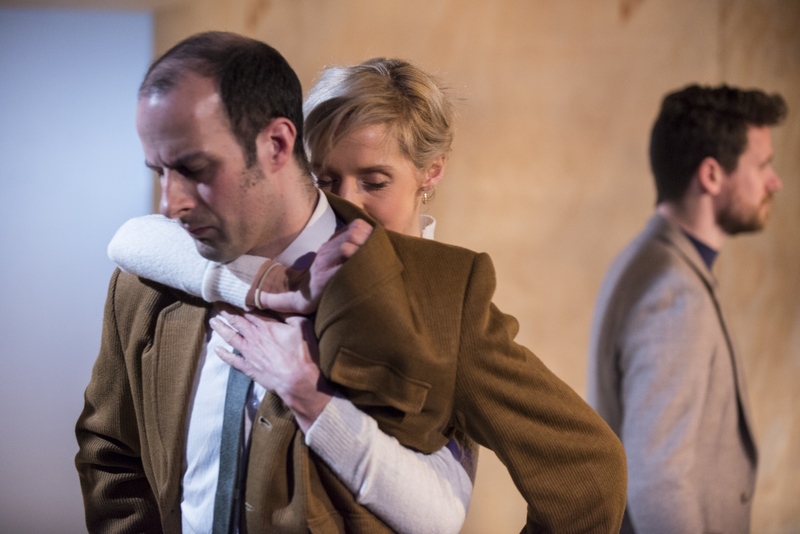 The second performance, Pinter’s ‘Silence’ was technically less demanding but nonetheless just as beautiful, the simplistic set worked really well and it felt like the actors were in another dimension. What I noticed most of all was their use of spatial awareness, when one person moved to a different spot, the others would change their position so it always looked aesthetically pleasing to the eye. This was well thought out and blocked out. Their acting was equally brilliant with Matthew Bulgo playing Rumsey, showing us a more desperate side than the comical side we saw earlier, Peta Cornish playing Ellen uses her eyes as an emotive tool which was something I haven’t seen in a long time in a performance, truly remarkable. Then, Neal McWilliams playing Bates. Neal played a character who had a boyish charm that really put extra depth into this performance and made it stand out so much more. Each performer showed us what it felt like to be in desperation of love and hope, to have such strong feelings and the want to connect with one another. This double bill was a great way to step out from the outer world into something much deeper. This is a performance that makes you feel something you definitely didn’t feel before entering the room. As an actor myself these plays are something every actor dreams to play, the way they are technically demanding for the voice and how you have to be completely disciplined with your whole body making sure you know every tiny movement you make will have great impact on the performance. I thoroughly enjoyed the night and can not wait to watch the Other Rooms next performance of ‘Sand’ by Nick Gill. 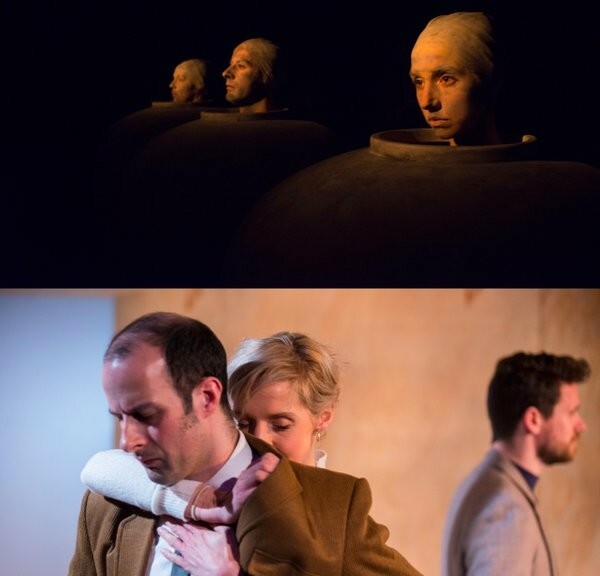 The Other Room Theatre kick of 2016 with their new season ‘Insomnia,’ bringing us a double bill of both Beckett and Pinter’s work. These 20th century playwrights are considered to be two of the most influential dramatists of all time. 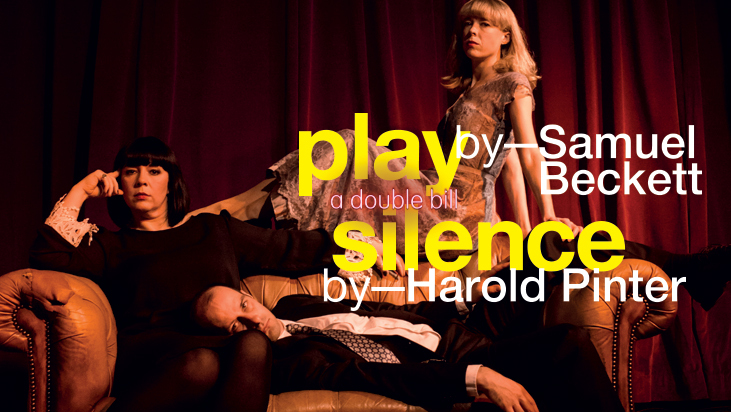 The plays ‘Play’ by Beckett and ‘Silence’ by Pinter, both draw on themes around betrayal and lust. Both Kate Wasserberg, (director of ‘Play’ and Artistic Director of the Other Room) and Titas Halder, (director of ‘Silence’) made sure these plays were not only performed with great distinction but also showed great technical accomplishment. Floating heads on stage, muttering things one couldn’t comprehend, the imagery in this was beautiful. Then controlled by a single spotlight it shone onto the character speaking at the time with everything else surrounded in blackness. This technically was beautiful as we were transfixed on what was being shown. It felt like you were at a tennis match where you kept moving your head to the next performance not wanting to blink in case you missed the next moment. The performers were incredible, their focused stare and fast paced speaking with hardly pausing was a treat to see. It was evident that they had complete dedication to this performance as their pronunciation was spot on even though the pace was remarkably difficult. The trio of performers even though they were speaking in quite a monotonous way showed great characterisation and we could fully get a sense of each personality. 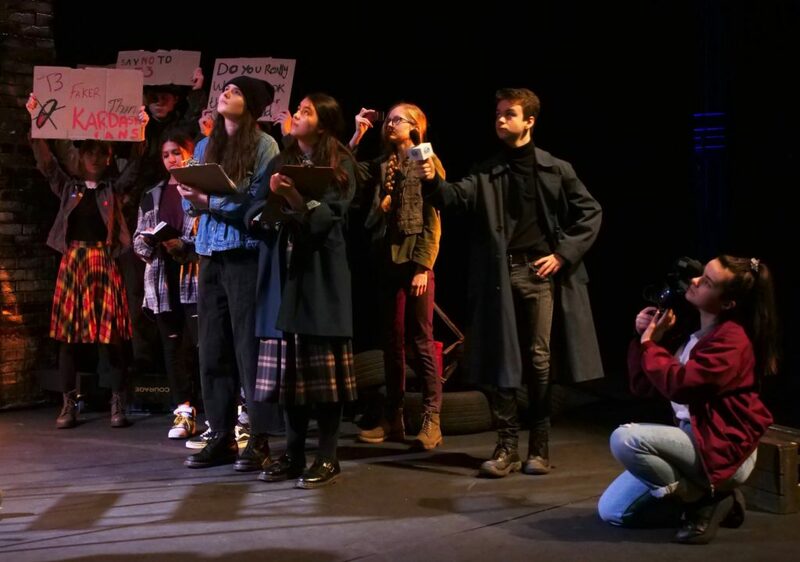 After only knowing Matthew Bulgo through his great work as a playwright on ‘Last Christmas’ for Dirty Protest, his acting ability corresponded to the success of his play. Acting alongside him was Victoria John who showed comedy within this play and who’s laugh has to be up there with the greatest of evil laughs. Then Peta Cornish who captivated us with the use of her eyes and her elegant speaking voice. The second performance, Pinter’s ‘Silence’ was technically less demanding but nonetheless just as beautiful, the simplistic set worked really well and it felt like the actors were in another dimension. What I noticed most of all was their use of spatial awareness, when one person moved to a different spot, the others would change their position so it always looked aesthetically pleasing to the eye. This was well thought through and blocked. The performers acting was equally accomplished with Matthew Bulgo playing Rumsey, showing us a more desperate side than the comical side we saw earlier, Peta Cornish playing Ellen uses her eyes as an emotive tool which was something I haven’t seen in a long time in a performance, truly remarkable. Then, Neal McWilliams playing Bates. Neal played a character who had a boyish charm that really put extra depth into this performance and made it stand out so much more. Each performer showed us what it felt like to be in desperation of love and hope, to have such strong feelings and the want to connect with one another. This double bill was a great way to step out from the outer world into something much deeper. This is a performance that makes you feel something you definitely didn’t feel before entering the room. As an actor myself these plays are something every actor dreams to play, the way they are technically demanding for the voice and how you have to be completely disciplined with your whole body making sure you know every tiny movement you make will have great impact on the performance. I thoroughly enjoyed the night and cant wait to watch the Other Rooms next performance of ‘Sand’ by Nick Gill.